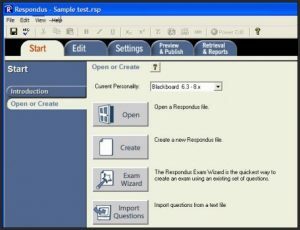 Respondus has 2 different capabilities, a quiz generator and a lockdown browser. 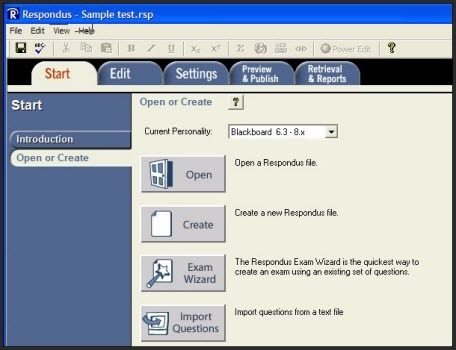 is a powerful tool for creating and managing exams that can be printed to paper or published directly to D2L or Canvas. Exams can be created offline using a familiar Windows environment, or moved from one LMS to another. Whether you are a veteran of online testing or relatively new to it, Respondus will save you hours on each project. is a custom browser that locks down the testing environment within a learning management system. Used at over 1000 higher ed and K-12 institutions, LockDown Browser is the top choice of educators for securing online exams in classrooms or proctored environments. Students are unable to copy, print, access other applications, or visit other websites during an online exam. It should be noted that the LockDown Browser is NOT compatible with all computers, browsers, and systems. Software available via JCCC Infoshare.